Kick off your visit on the 29th (Mon): take in nature's colorful creations at Myriad Botanical Gardens and then contemplate the long history of Oklahoma City National Memorial & Museum. To find other places to visit, ratings, where to stay, and tourist information, read Oklahoma City vacation planner. Charlotte to Oklahoma City is an approximately 5.5-hour flight. You can also drive; or take a bus. You'll gain 1 hour traveling from Charlotte to Oklahoma City due to the time zone difference. In May, plan for daily highs up to 80°F, and evening lows to 59°F. On the 29th (Mon), wrap the sightseeing up by early afternoon so you can travel to Santa Fe. On the 30th (Tue), get a sense of history and politics at New Mexico Legislature, then take in the architecture and atmosphere at Cathedral Basilica of St. Francis of Assisi, and then get interesting insight from Astronomy Adventures. For other places to visit and other tourist information, read our Santa Fe trip generator. You can fly from Oklahoma City to Santa Fe in 5.5 hours. Alternatively, you can drive; or take a bus. Due to the time zone difference, you'll gain 1 hour traveling from Oklahoma City to Santa Fe. Expect a bit cooler evenings in Santa Fe when traveling from Oklahoma City in May, with lows around 44°F. Finish your sightseeing early on the 30th (Tue) so you can drive to Albuquerque. Kick off your visit on the 31st (Wed): contemplate the long history of Old Town Albuquerque. To find ratings, maps, and more tourist information, use the Albuquerque vacation trip planner. You can drive from Santa Fe to Albuquerque in an hour. Other options are to take a train; or do a combination of shuttle and bus. Traveling from Santa Fe in May, Albuquerque is a bit warmer at night with lows of 51°F. Wrap up your sightseeing by early afternoon on the 31st (Wed) to allow time for the car ride to Petrified Forest National Park. Start off your visit on the 1st (Thu): explore the fascinating landscape at Painted Desert. To find more things to do, where to stay, maps, and other tourist information, you can read our Petrified Forest National Park itinerary planner. Traveling by car from Albuquerque to Petrified Forest National Park takes 4.5 hours. Alternatively, you can take a bus; or do a combination of flight and bus. Wrap up your sightseeing by early afternoon on the 1st (Thu) to allow time for the car ride to Grand Canyon National Park. On the 3rd (Sat), hike the day away at Bright Angel Trail. And it doesn't end there: take in breathtaking views at Grand Canyon South Rim, hike along South Kaibab Trail, admire all the interesting features of East Rim Drive, and get great views at Hopi Point. For traveler tips, maps, where to stay, and other tourist information, read our Grand Canyon National Park trip itinerary maker. You can drive from Petrified Forest National Park to Grand Canyon National Park in 4 hours. In June, plan for daily highs up to 84°F, and evening lows to 39°F. On the 7th (Wed), wrap the sightseeing up by early afternoon so you can drive to Las Vegas. Step out of Las Vegas to go to Boulder City and see Hoover Dam, which is approximately 44 minutes away. 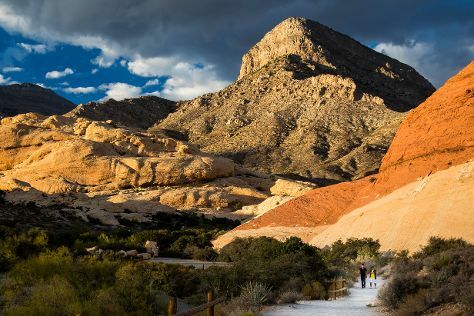 There's much more to do: explore the striking landscape at Red Rock Canyon National Conservation Area, get the adrenaline pumping with an extreme tour, buy something for everyone on your list at The Grand Canal Shoppes, and try your luck at The Venetian. To see other places to visit, more things to do, and tourist information, go to the Las Vegas sightseeing planner. Getting from Grand Canyon National Park to Las Vegas by car takes about 4.5 hours. Due to the time zone difference, you'll gain 1 hour traveling from Grand Canyon National Park to Las Vegas. Traveling from Grand Canyon National Park in June, you will find days in Las Vegas are somewhat warmer (102°F), and nights are warmer (78°F). Wrap up your sightseeing on the 12th (Mon) early enough to drive to Zion National Park. Spend the 13th (Tue) exploring nature at The Narrows. There's still lots to do: hike along Angel's Landing, get great views at Observation Point, explore and take pictures at Zion Canyon Scenic Drive, and see a world frozen in time at Grafton Cemetery (Ghost Town). For other places to visit, traveler tips, and other tourist information, use the Zion National Park online itinerary creator. Getting from Las Vegas to Zion National Park by car takes about 3 hours. Other options: do a combination of bus and car; or fly. The time zone difference moving from Pacific Standard Time (PST) to Mountain Standard Time (MST) is 1 hour. When traveling from Las Vegas in June, plan for slightly colder days in Zion National Park, with highs around 93°F, while nights are cooler with lows around 51°F. Finish up your sightseeing early on the 15th (Thu) so you can travel to Salt Lake City. Start off your visit on the 16th (Fri): ponder the world of politics at Utah State Capitol and then get lost in a book at Family History Library. To find other places to visit, more things to do, maps, and other tourist information, read Salt Lake City sightseeing planner. Traveling by combination of car and flight from Zion National Park to Salt Lake City takes 3.5 hours. Alternatively, you can drive; or take a bus. Traveling from Zion National Park in June, you will find days in Salt Lake City are slightly colder (84°F), and nights are somewhat warmer (58°F). Wrap up your sightseeing by early afternoon on the 16th (Fri) to allow time for travel to Glacier National Park. Start off your visit on the 17th (Sat): explore the wealth of natural beauty at Waterton-Glacier International Peace Park. Here are some ideas for day two: admire the sheer force of Virginia Falls and then tour the pleasant surroundings at Grinnell Glacier. For ratings, more things to do, where to stay, and other tourist information, you can read our Glacier National Park trip generator. Do a combination of flight and taxi from Salt Lake City to Glacier National Park in 4.5 hours. Alternatively, you can drive; or do a combination of shuttle and bus. In June, Glacier National Park is little chillier than Salt Lake City - with highs of 72°F and lows of 45°F. Wrap up your sightseeing by early afternoon on the 19th (Mon) to allow time for travel to Rapid City. Start off your visit on the 20th (Tue): admire nature's wide array of creatures at Reptile Gardens and then look for all kinds of wild species at Bear Country USA. To find ratings, reviews, other places to visit, and other tourist information, go to the Rapid City itinerary maker. Traveling by flight from Glacier National Park to Rapid City takes 6.5 hours. Alternatively, you can drive; or take a bus. Traveling from Glacier National Park in June, expect Rapid City to be somewhat warmer, temps between 78°F and 52°F. Finish your sightseeing early on the 20th (Tue) to allow enough time to drive to Devils Tower. For reviews, traveler tips, and tourist information, read Devils Tower tour planner. You can drive from Rapid City to Devils Tower in 2 hours. Another option is to do a combination of bus and taxi. While traveling from Rapid City, expect a bit cooler days and about the same nights in Devils Tower, ranging from highs of 71°F to lows of 50°F. On the 21st (Wed), you'll have the morning to explore before heading off to Yellowstone National Park. On the 24th (Sat), dedicate a day to the elevated beauty of Mount Washburn. 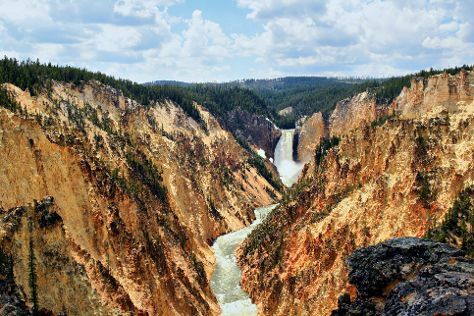 There's still lots to do: take in breathtaking views at Grand Canyon of the Yellowstone, take in the natural beauty of Old Faithful, contemplate the waterfront views at Yellowstone Lake, and trek along Storm Point Trail. To see maps, other places to visit, traveler tips, and tourist information, read our Yellowstone National Park trip builder. Getting from Devils Tower to Yellowstone National Park by car takes about 7.5 hours. Other options: fly; or take a bus. Traveling from Devils Tower in June, expect Yellowstone National Park to be little chillier, temps between 64°F and 33°F. Finish your sightseeing early on the 26th (Mon) to allow enough time to travel to Moose. Moose is an unincorporated community in Teton County, Wyoming, United States, in the Jackson Hole valley. On the 27th (Tue), explore the striking landscape of Grand Teton. 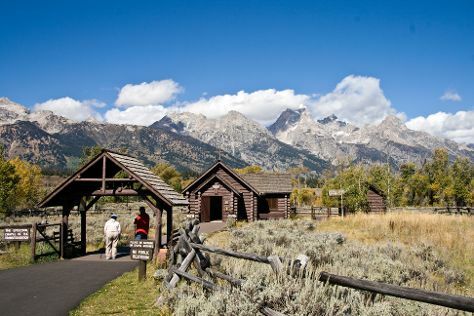 Get ready for a full day of sightseeing on the 28th (Wed): make a trip to Chapel of the Sacred Heart, then take your sightseeing to a higher altitude at Oxbow Bend Turnout, Grand Teton National Park, and then don't miss a visit to Schwabacher Landing. To see traveler tips, photos, maps, and tourist information, go to the Moose itinerary builder. Drive from Yellowstone National Park to Moose in 2.5 hours. Plan for somewhat warmer nights when traveling from Yellowstone National Park in June since evenings lows in Moose dip to 39°F. Wrap up your sightseeing by early afternoon on the 28th (Wed) to allow time for travel to Los Angeles. 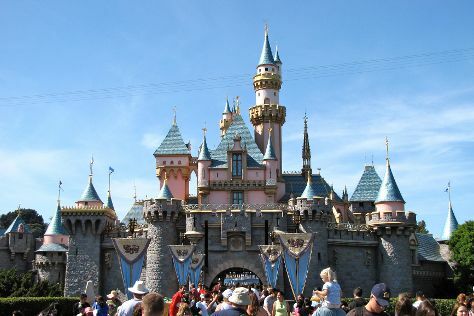 Explore the numerous day-trip ideas around Los Angeles: Anaheim (Disneyland Park & Disney California Adventure Park). Pack the 30th (Fri) with family-friendly diversions at Universal Studios Hollywood. Next up on the itinerary: see the interesting displays at Getty Center Publications, appreciate the extensive heritage of Santa Monica Pier, admire the landmark architecture of Walt Disney Concert Hall, and see the sky in a new way at Griffith Observatory. To find ratings, maps, more things to do, and other tourist information, use the Los Angeles itinerary maker. Use the Route module to find suitable travel options from Moose to Los Angeles. The time zone changes from Mountain Standard Time (MST) to Pacific Standard Time (PST), which is usually a -1 hour difference. Traveling from Moose in June, expect nights in Los Angeles to be much warmer, around 61°F, while days are a bit warmer, around 77°F. On the 3rd (Mon), wrap the sightseeing up by early afternoon so you can travel to Memphis. On the 4th (Tue), get to know the fascinating history of Beale Street, steep yourself in history at Sun Studio, and then make a trip to Graceland. To see traveler tips, reviews, other places to visit, and more tourist information, you can read our Memphis tour planner. Traveling by flight from Los Angeles to Memphis takes 6 hours. Alternatively, you can drive; or take a bus. The time zone changes from Pacific Standard Time (PST) to Central Standard Time (CST), which is usually a 2 hour difference. In July, Memphis is a bit warmer than Los Angeles - with highs of 92°F and lows of 74°F. Wrap up your sightseeing on the 4th (Tue) to allow time to drive to Nashville. Kick off your visit on the 5th (Wed): look for gifts at Hatch Show Print, examine the collection at Country Music Hall of Fame and Museum, then get engrossed in the history at Lotz House Museum, and finally catch a live performance at Grand Ole Opry. To see reviews, where to stay, traveler tips, and more tourist information, read our Nashville sightseeing planner. Drive from Memphis to Nashville in 3.5 hours. Alternatively, you can take a bus; or fly. Expect a daytime high around 90°F in July, and nighttime lows around 70°F. Cap off your sightseeing on the 5th (Wed) early enough to travel back home.